I care that women have a choice and an opportunity to have their babies in the place of their choosing and with the provider of their choice as long as their health and the health of their babies allows. I believe that midwifery is a calling and that call includes not only the physical aspects of care but the emotional and spiritual aspects as well. Women who are well supported and motivated to keep themselves healthy have few complications in pregnancy or birth. It’s hard to believe another year has gone by! According to our current bylaws, I will have completed 2 full terms as President and will now be stepping down, but staying on the Executive Committee as Immediate Past President to assist the new President for the next 2 years. We have a meeting this Thursday 2/9/17: 12-2, Ashley Musil will be presenting on Molar Pregnancy as our educational topic! We look forward to seeing you there! Thanks Melissa for the reminder! Yes, my understanding was that Dr.Popek will be speaking first as our main speaker, then we will adjunct with placental encapsulation. Looking forward to seeing everyone! I also wanted to thank Melissa and Sherry for the excellent work they did on their presentations in September!! I greatly appreciate the work that goes into preparing a presentation for us! Great Job!! 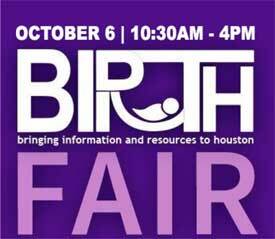 Our next meeting is this week, 10/13/16 at 1200 pm at West Houston Birth Center. Chelsea Campbell will be presenting on Ultrasound Safety and Research! We look forward to seeing you all!! Just in case any of you have not seen the new ACOG position on planned home birth. I just remembered that Camellia is out on vacation and so the meeting announcement has not gone out until now, though we have been reminding everyone that our annual meeting would be May. Our monthly meeting will be at West Houston Birth Center again at 1200. We will have a short business meeting and then the Administration and CyFair Hospitalists will meet with us. Exec Committee : Meeting at La Madeleine on Beechnut at Meyerland at 1030-1145, or 1130.
trying to figure out how to post to these groups.